The children tell stories. Stories of brave princes, beautiful princesses, faraway kingdoms, and tigers with sharp teeth and sharper claws. These stories they tell to distract themselves from their world, a modern day Mexico in the grip of cartel violence and gang killings; a kingdom no less foul for its want of evil wizards, fiery dragons, and darkest magics. Here, families go missing in the night while little boys with bullet-hole bellies wander the alleys. The lucky ones are those murdered in their beds, for rumors tell of the missing being butchered slow and eaten fresh by Satanists. The adults call these stories fairy tales, but to children like 10-year-old Estrella (Paola Lara), they're as real as the evening news. She can see the shadows moving in the night, the murals that shift in the dark on the walls; she can hear the whispers of the dead offering portents and prophecies and the wails of the damned demanding vengeance and fire. In her pocket she holds three pieces of chalk, each with the power to grant a single wish. They're her only line of defense after her mother suddenly disappears, forcing her to join a group of roving street urchins preyed upon by the same criminals that made them orphans. The first she uses to cheat through her initiation of killing a local mobster, but the last two she saves, partly out of fear, partly out of hope that they can find her mother. 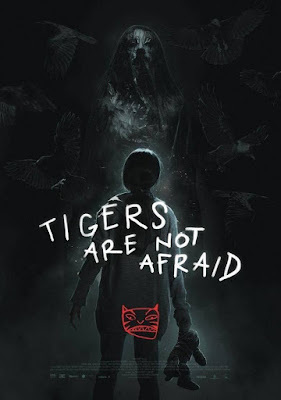 So begins Issa López's TIGERS ARE NOT AFRAID, a bold piece of magical realism that takes an unflinching look at the horrors of Mexico's drug war. Borrowing as much from street children cinema like PIXOTE (1980), ALI ZAOUA (2000), and CITY OF GOD (2002) as it does from the films of fellow Mexican fabulist Guillermo del Toro, it presupposes a world with no conflict between documentary realism and ostentatious fantasy. Both strains are represented in concurrent plots: Estrella's magical search for her mother and the orphans' struggle against gangsters hunting them for stealing an iPhone with incriminating video evidence on it. But like the aforementioned Del Toro, she manages to keep both styles balanced so neither outweighs the other, reveling in their gorgeous contradictions instead of pretending they don't exist. The result is a film of spectacular beauty; many of the images in this film will haunt me for years—a crowd of orphans warming themselves to a burning piano, an abandoned mansion with a leaky floor full of striped goldfish, and ghosts, oh so many ghosts. Ghosts of murdered masses in sarcophagi of shrink wrap, ghosts of bloodied parents, ghosts of boys shivering in eternal cold. López's portrayal of modern Mexico is grim and tragic, but not without hope. 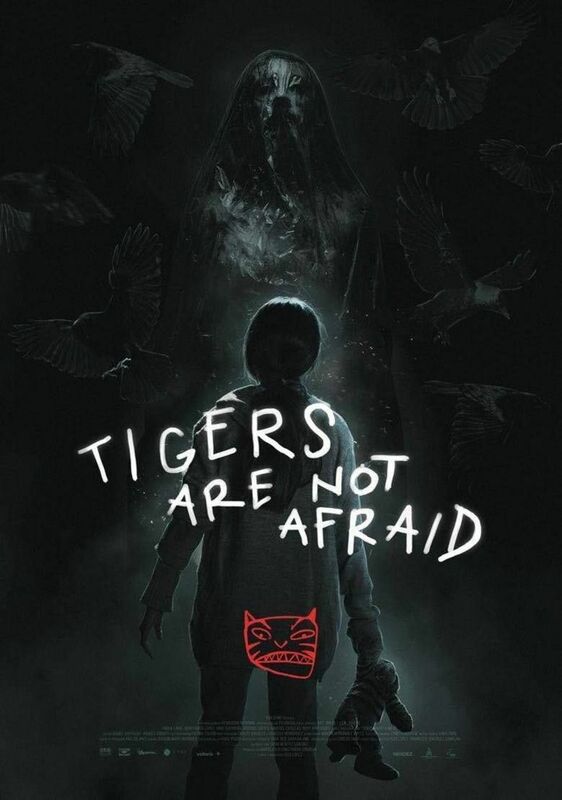 For as with many fantasy movies, TIGERS ARE NOT AFRAID is itself a story about stories and how they can save and liberate from suffering. As long as we have fairy tales, López argues, the bastards burning the world can't destroy everything.